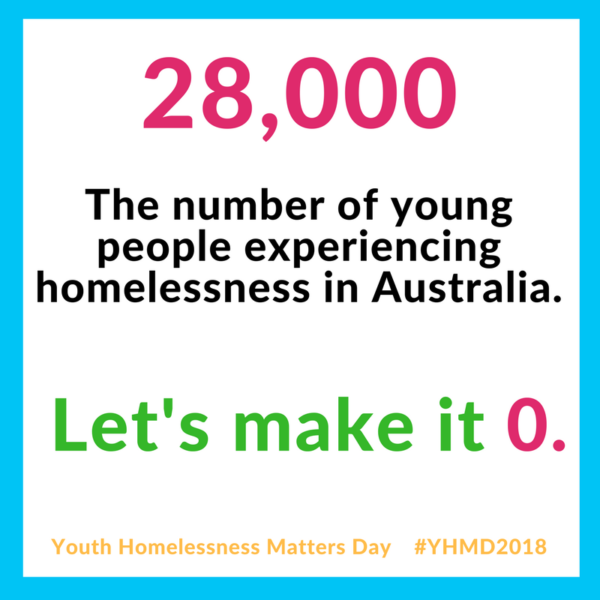 Today, 18 April is national ‘Youth Homelessness Matters Day’ (YHMD) and local organisation, Veritas House is calling on residents to mark the occasion by recognising that youth homelessness occurs in regional communities like Orange. More than 28,000 young Australians aged 12-25 are experiencing homelessness every night and ABS data released last month identified 42% of the national homelessness population is under 25 years of age. Significantly, the ABS data revealed youth homelessness in NSW has increased by an alarming 92% since 2011, impacting services like Veritas who assist 150-200 young people in Orange each year. According to Veritas House CEO, Jody Pearce, in most instances, young people do not have a home because they are escaping conflict and violence. “A common misconception is that young people leave home because they want to or because they want more freedom to live without rules and restrictions, but we know that this is simply not true for the vast majority of local young people we have supported over the past 35 years,” said Jody. “Some 70% of young people experiencing homelessness are escaping a negative home environment, which often includes an abusive, violent or broken home and most are hidden from view through couch surfing and sleeping in cars, so it is easy to assume it doesn’t exist in a town like Orange, but that is not the case,” she explained. In order to ensure local young people experiencing homelessness have easy access to services that can assist them to get back on their feet, Veritas House has recently relocated to the former Blockbuster site in Sale Street and is currently recruiting four staff positions to enhance the supports available locally. “Two of our residential youth workers have moved into new roles within Veritas, our Acting Team Leader is preparing for maternity leave and we are recruiting a receptionist, so we have some exciting opportunities for local, qualified workers to join our team and help us ensure local youth can receive the assistance they need,” said Jody. Ms Pearce believes YHMD is an opportunity to become aware of how to support a young person who is experiencing homelessness. If you or someone you know needs assistance or advice on options, contact Veritas House on 6361 8099 during business hours or 0417 657 232 after hours; or Link2Home on 1800 152 152.